Rabbi Ze'ev Karov, the father of IDF soldier Aharon Karov who made a miraculous recovery after being injured in Cast Lead, passed away. 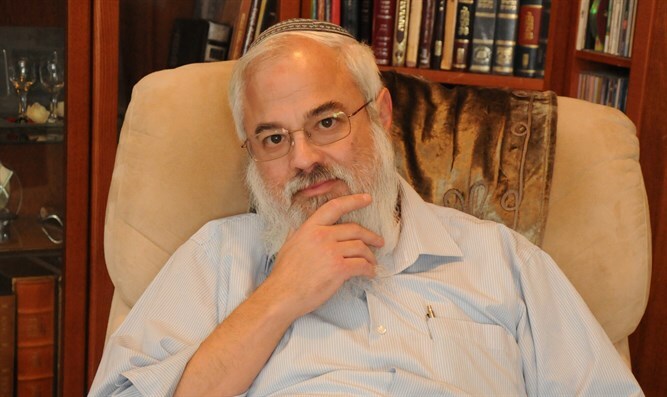 Rabbi Ze'ev Karov, the father of the worst-injured and miraculously recovered solder from 2008-9's Operation Cast Lead, died on Wednesday morning following a severe illness. Rabbi Karov left behind a wife and seven children. His funeral will leave the Karnei Shomron yeshiva at 1:30p.m. on Wednesday. Rabbi Karov taught for several years at Jerusalem's Merkaz Harav Yeshiva, before being hired as a teacher in Karnei Shomron's hesder yeshiva. Later, he served for a decade as the dean of Karnei Shomron's Shomron Yeshiva. Throughout his life, Rabbi Karov taught at the Binat women's seminary in Shvut Rachel. He wrote five books, one of them a bestseller, and gave classes on faith and the Rav Avraham Yitzhak Hacohen Kook's view on the process of resettling Israel. This book received the approval of Rabbi Moshe Tzvi Nerya and Rabbi Avraham Elkanah Kahana-Shapira. Another of his books tells the story of his son's injury, recovery, and rehabilitation. Rabbi Karov's son Aharon was a young officer in the Paratroopers when he married just before Operation Cast Lead in late 2008. He returned to his soldiers on the morning after the wedding, and two weeks later, the force under his command entered a boobytrapped house on the outskirts of Gaza, where an explosive device went off. Karov suffered a serious head injury and his chances of recovering were deemed to be very slim. However, Karov regained consciousness after three days, was breathing on his own three later. After two weeks, he began to walk, and after less than a month he was already whispering some words. After five months in the hospital, Karov was released and began a long rehabilitation process. Since then, he and his wife Tzvia have had at least three children, and Karov has led a normal life. Three years ago, Rabbi Karov began to lose weight and suffer from unexplained anemia. He underwent a series of medical tests, but lost precious time before he received his diagnosis: an aggressive and cancerous tumor was growing on his kidney, and it had metastasized to his lungs. "I lost twenty-five kilograms (55.1 lbs)," Rabbi Karov told the Besheva newspaper. "It was obvious, you couldn't ignore it. Everyone asked me if I was on a diet. In the end I did a CT, and the radiologist who looked at it couldn't keep quiet and asked me a seemingly innocent question: 'Tell me, doesn't your left side hurt you?' He promised me that he would make sure a doctor saw it within a few hours. So I understood that I was sick." "One of the children asked me, 'Dad, you knew about this before, right?' And my answer was that I guess I had a feeling. You could say that it didn't catch me by surprise. "I believe that the idea that we are in this world for a set amount of time gives us energy and great strength to live. A person needs to take every second of his life seriously, and honor it. Every day that he lives, he needs to give thanks for each breath. At the end of the day, this is what raises a person's quality of life. "I don't feel bitterness at all. A person's nature is to think, 'Why did this happen specifically to me?' But I try to look at it from a more objective point of view. G-d gave us life, and we take it for granted, each person at his level. I also needed to do a lot more with the strengths G-d gave me, and I didn't use them to the fullest."